Puerto Viejo de Talamanca offers a wealth of entertainment by the sea, attracting a lively international crowd of revelers while maintaining a bright and breezy coastal charm with a local feel. On the 10th (Wed), look for all kinds of wild species at Wildlife Areas, then look for all kinds of wild species at The Ara Project, and then enjoy the sand and surf at Punta Uva Beach. Here are some ideas for day two: kick back and relax at Puerto Viejo Beach and then take in the exciting artwork at Luluberlu Art Gallery. To find reviews, other places to visit, more things to do, and other tourist information, read our Puerto Viejo de Talamanca day trip planning site . Charlotte, USA to Puerto Viejo de Talamanca is an approximately 13-hour combination of flight and shuttle. You can also do a combination of bus, flight, and shuttle; or drive. You'll gain 1 hour traveling from Charlotte to Puerto Viejo de Talamanca due to the time zone difference. Cap off your sightseeing on the 11th (Thu) early enough to catcht the bus to San Jose. A trip to San Jose, the capital, commercial center, and cultural hub of Costa Rica, gives you a chance to experience the lively atmosphere and rich cultural past of this vibrant country. 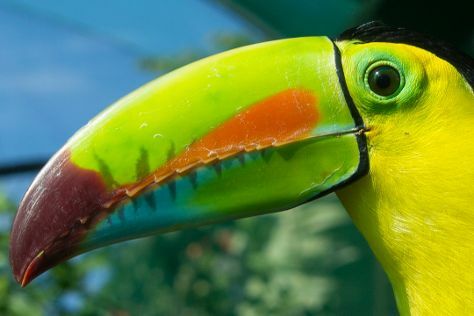 Start off your visit on the 12th (Fri): soothe aching muscles at some of the top local wellness centers, then take in the exciting artwork at Galeria Namu, then identify plant and animal life at Toucan Rescue Ranch, and finally admire the masterpieces at Museum of Contemporary Art and Design. On the 13th (Sat), you'll have a packed day of sightseeing: take an in-depth tour of National Museum (Museo Nacional), then cruise along Top Travel Costa Rica, and then take an in-depth tour of Juan Santamaria Historical Cultural Museum. To find traveler tips, reviews, and other tourist information, go to the San Jose trip builder tool . Getting from Puerto Viejo de Talamanca to San Jose by bus takes about 3.5 hours. Other options: drive; or take a shuttle. In April in San Jose, expect temperatures between 83°F during the day and 67°F at night. Finish your sightseeing early on the 13th (Sat) so you can drive to La Fortuna de San Carlos. Kick off your visit on the 14th (Sun): stroll through Ecocentro Danaus, then relax and float downstream with a rafting and tubing tour, and then witness a stunning natural landmark at Paradise Hot Springs. Get ready for a full day of sightseeing on the 15th (Mon): take in the natural beauty of Tabacon Hot Springs and then admire the natural beauty at Arenal Natura Ecological Park. To see other places to visit, ratings, where to stay, and other tourist information, use the La Fortuna de San Carlos online trip builder . You can drive from San Jose to La Fortuna de San Carlos in 2.5 hours. Other options are to take a shuttle; or take a bus. 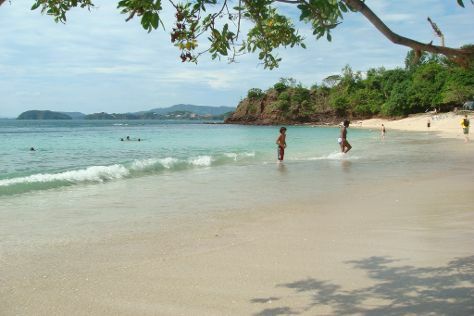 Wrap up your sightseeing on the 15th (Mon) to allow time to drive to Tamarindo. Surfing remains the main reason to take a trip to Tamarindo, as the beachside town is mostly known for its excellent waves. Kick off your visit on the 16th (Tue): kick back and relax at Playa Avellana and then enjoy the sand and surf at Playa Conchal. Here are some ideas for day two: enjoy the sand and surf at Tamarindo Beach and then see some colorful creatures with a scuba or snorkeling tour. For traveler tips, reviews, maps, and tourist information, you can read our Tamarindo online day trip planner . Traveling by car from La Fortuna de San Carlos to Tamarindo takes 4 hours. Alternatively, you can take a shuttle; or take a bus. Wrap up your sightseeing by early afternoon on the 18th (Thu) to allow enough time to travel back home.